Évora is a town in Portugal’s Alentejo region, southeast of Lisbon, known for its Roman ruins, university, and beautiful buildings dating from the 16th to the 18th centuries. 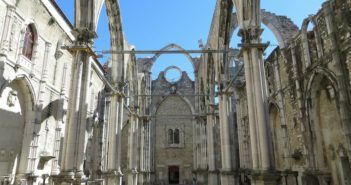 Unlike the Portuguese capital, Évora was not hit by the great earthquake of 1755. Évora was able to preserve a unique historic centre of houses decorated with azulejos (Portuguese hand-painted tiles) and wrought-iron balconies, deserving a selection as a UNESCO World Heritage Site. The best way to get from Lisbon to Évora is by car if you enjoy driving. The distance is 135 kilometres, or 85 miles. A car allows you to visit the Alentejo wine region and see other towns such as Estremoz, Vila Viçosa and Monsaraz, all of which boast medieval castles. 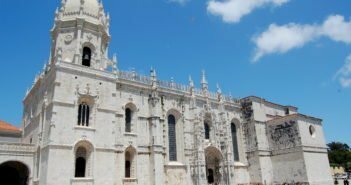 Other good options to get from Lisbon to Évora are by bus and train. We describe these first. There are regular buses throughout the day between Lisbon and Évora. The trip will take about one hour and 45 minutes. The service is carried out by Rede Expressos / Renex. 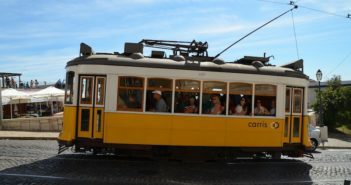 In Lisbon, catch the bus at Sete Rios Bus Terminal (metro‘s blue line). Évora Bus Terminal is a 10-minute walk from Praça do Giraldo in the historic centre. Tickets cost €12 one way or €21.20 return, and all trips can be booked on Rede Expressos’ website up to 30 days in advance. There are four trains per day connecting Lisbon and Évora. The Intercidades (IC) train takes one hour and 30 minutes. 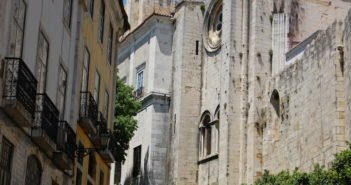 In Lisbon, catch the train at Santa Apolónia (the historic railway station) or at Gare do Oriente in Parque das Nações (metro’s red line). Évora Station, decorated with beautiful tile panels, is a 20-minute walk from Praça do Giraldo in the historic centre. Tickets start at €12 one way (2nd class), and all trips can be booked on CP’s website up to 60 days in advance. From Lisbon, drive south on the 25 April Bridge and get on the A2 motorway. If there is traffic on the 25 April Bridge, Vasco da Gama Bridge might be an alternative to get on the A12 motorway. Both motorways connect to the A6 that will take you to Évora (exit 5). Driving from Lisbon to Évora is about one hour and 15 minutes. You can also get the N114 road, but it will take longer. The N114 is a normal road with one lane only in each direction and a speed limit of 90 kilometres per hour (as opposed to the 120km/h limit on motorways). However, motorway tolls in Portugal can be expensive. Expect to pay about €10 just in toll fares from Lisbon to Évora (€10 more on your return journey). In Évora, there is free parking areas outside the historic centre, and parking meters in the historic centre. Most free parking areas are a brief 5-10 minute walk from Praça do Giraldo. 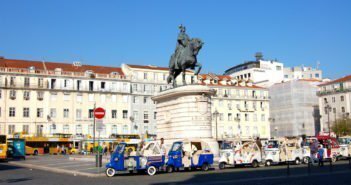 If you want to hire a car, find here information on car rental in Lisbon, including advice on where to hire a car in the city, some car rental companies from which you can compare prices, and things to know when hiring a car in Portugal, including why you should rent a Via Verde transponder. A guided tour is another great way to get to Évora. 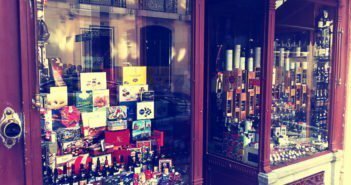 A guide will organize everything from sightseeing to a wine and olive oil tasting experience. 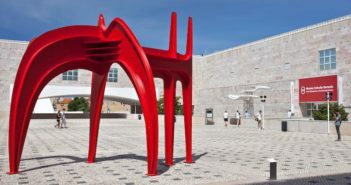 Your hotel and Lisbon’s Tourist Offices can advise you on the best available deals.